New breakthrough ; researchers discover a shortcut to satellite-based quantum-encrypted networks. In a new study published in the journal Optica, scientists report that for the first time in history, quantum states sent via laser aboard a satellite 38,000 kilometers above the Earth have been measured correctly from the ground. 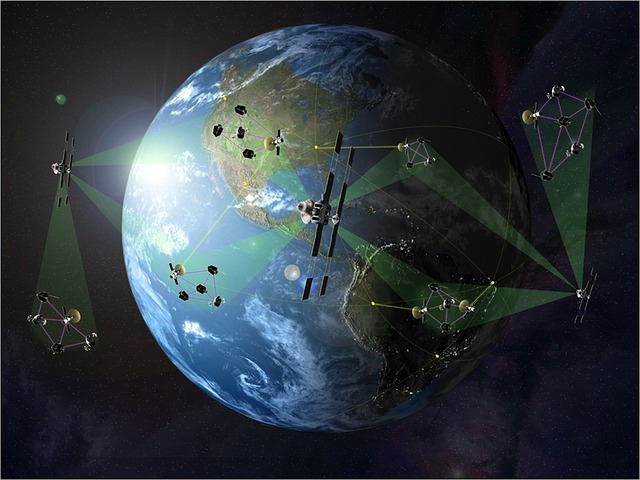 With this breakthrough, satellite-based quantum-encrypted networks could become a reality in as short as five years. And if this happens, communication will become much more secure as quantum encryption will be far harder to crack than existing encryption methods being used today. As it is, current encryption techniques typically rely on mathematical codes or algorithms. Because figuring out the exact algorithms used to encrypt data can be quite difficult, this method of encryption is acceptable for now. As computers become more powerful, however, and especially with the advent of supercomputers, it’s only a matter of time before cracking those encryptions will become easier and less challenging. And that could put all of the world’s data in danger. The solution is obvious — better encryption techniques should be devised. And there’s no better realm to explore for answers than the bizarre world of quantum mechanics. Instead of relying on math, quantum encryption relies on the properties of light, quantum states and the quantum principle of superpositioning to encode and transmit the decryption key needed to read encrypted data, and keep the data protected. Superpositioning refers to the ability of quantum particles to be in two different states at once until the particle is detected, at which point the particle reverts to being in just a single state. If someone tries to intercept the key by measuring the particles of light, superpositioning kicks in, and the communicating parties are alerted that the key has been compromised and is no longer safe to use. This guarantees communication that isn’t just assumed safe but can actually be proven as secure. To be clear, researchers have been trying to develop quantum encryption methods for years. What makes this breakthrough significant is the fact that it works even across long distances, something that hasn’t been possible before due to signal loss and degradation as light passes through the communication medium used (ex. optical fibres). For their experiment, the team — led by Christoph Marquardt of the Max Planck Institute for the Science of Light — worked with the German Space Administration and satellite telecom firm Tesat-Spacecom GmbH. Taking off from the fact that the satellite optical communications technology being used by the German Space Administration and Tesat-Spacecom worked similarly with the quantum key distribution method developed at the Max Planck Institute, the team resolved to find out if measuring quantum states encoded in a laser beam sent from one of the satellites already in space was possible from a ground-based station. As it turned out, it was.